One of Australias most highly regarded auctioneers, Justin is formally recognised as the leading auctioneer across Australia, winning the prestigious Australasian Auctioneer of the Year for 2016. He is a three time winner of the REIQ Auctioneer of the Year award in 2017, 2016 and 2013 making him the states most awarded auctioneer. 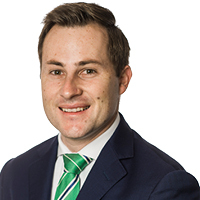 He also has been a runner-up in the competition twice and was a finalist in the 2013 & 2014 Australasian Auctioneering Championships.